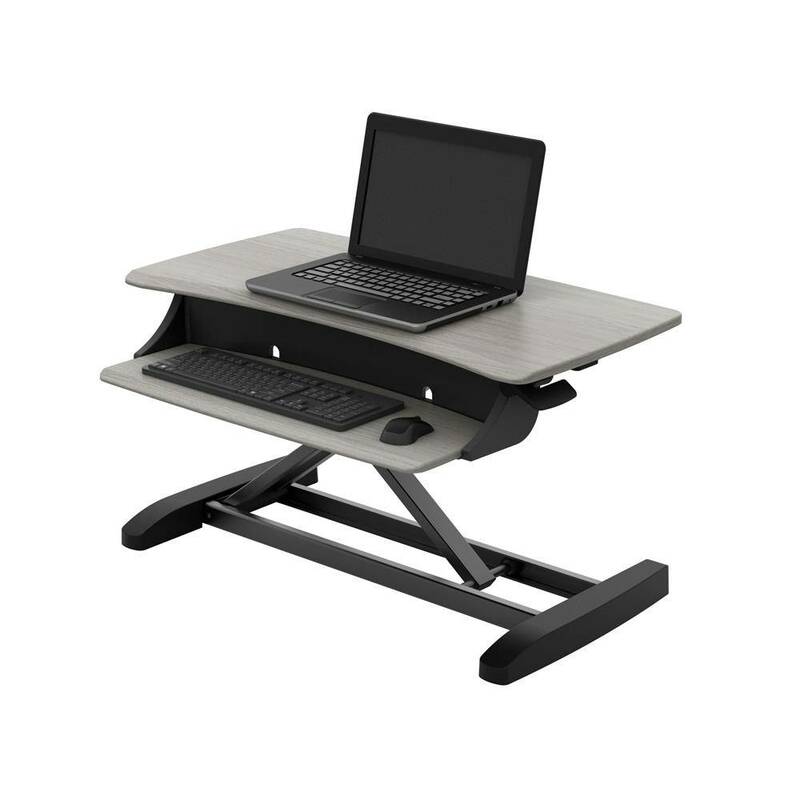 The new Workfit Z Mini is a compact Sit Stand Converter which is perfect companion for the smaller work environment. 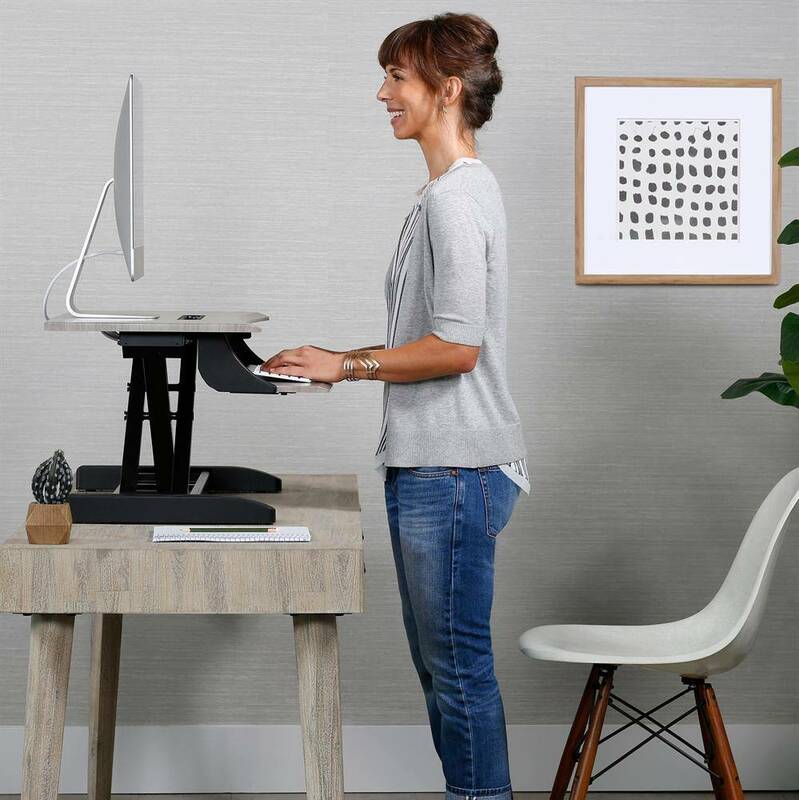 Make your workspace work for you with the all-new WorkFit Z Mini. 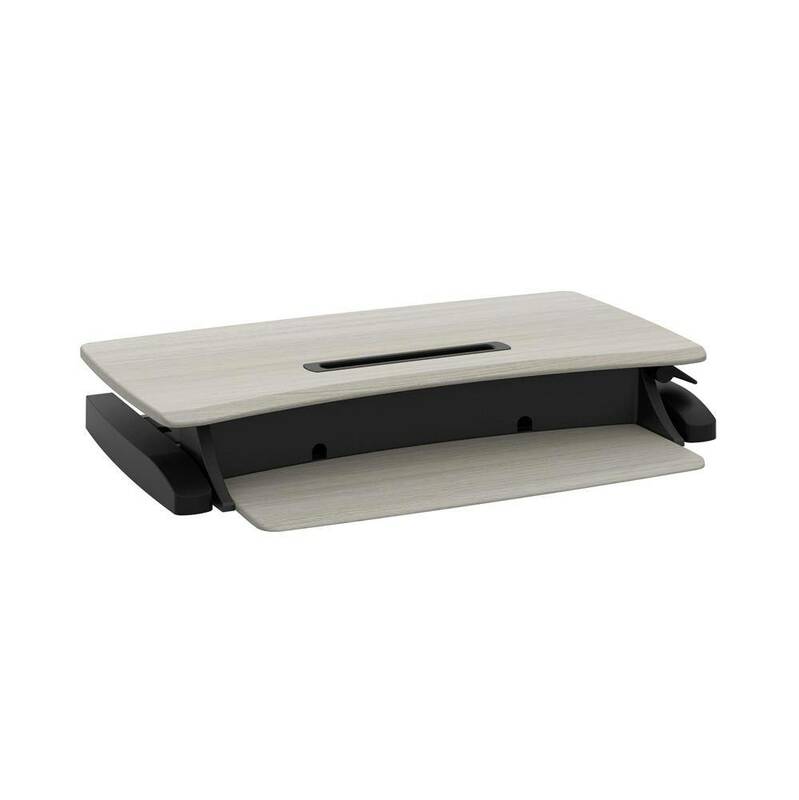 Big in benefits, this compact converter turns your current tabletop into a height-adjustable standing desk. It’s designed for the way you work best—sitting or standing—with a woodgrain finish that freshens your home office. 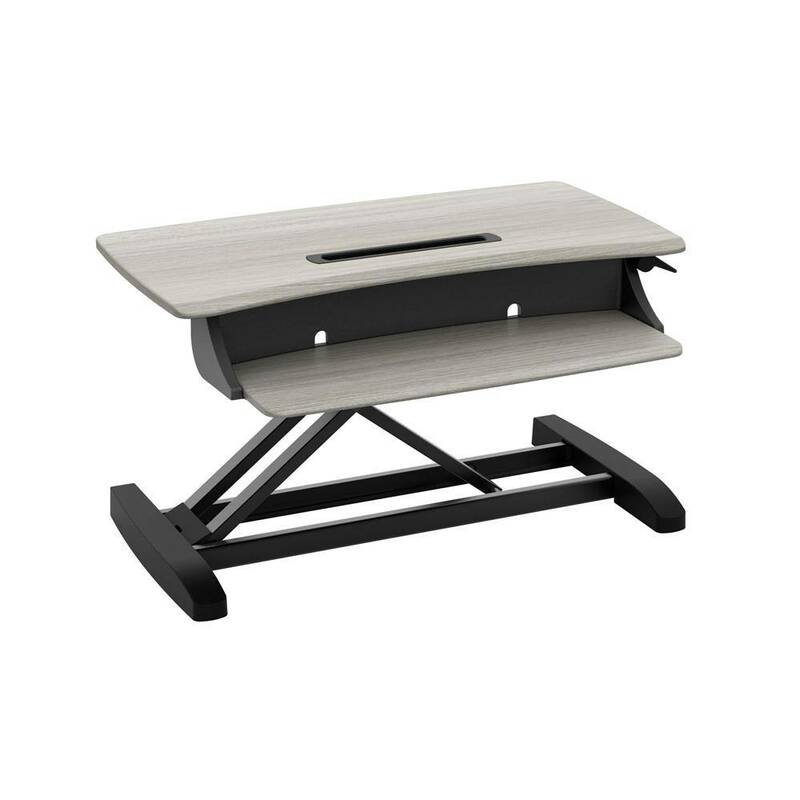 Upgrade to a sit-stand desk that fits you and the technology you love—single monitors, tablets or laptops. Best of all, set up is as easy as 1-2-Z. - Gets you standing from the get go. - No-fuss installation means no tools, no toil for instant productivity No worries. 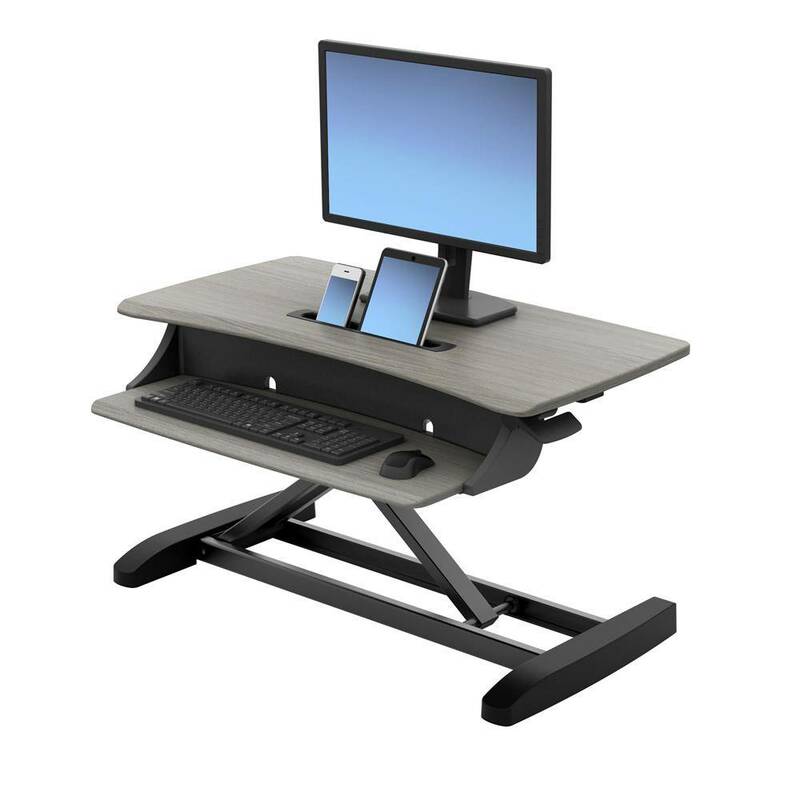 - Offers a sit-stand solution with everything you need, like a phone and tablet slot for easy access to your devices and integrated cable management for a mess-free workspace. - Features a soft, grey wood grain finish that complements your current furniture instead of serving as an unwanted focal point. - Provides infinite, click-free adjustments up to 12.5" (32 cm) and supports up to 25 lbs (11,4 kg). - Arrives assembled for an out-of-the box, no-fuss solution that gets you standing sooner – no tools (or sweat) needed.